Considering more and more people take pictures with their smartphones, printing photos from iPhone becomes a necessary skill to most iPhone users. If you want to print pictures from iPhone, you need two factors at least, hardware and software. First of all, you need a printer to receive the photos and print them. Currently, venders have released portable printers or printers support Bluetooth. You can connect these printers to iPhone and print pictures from iPhone directly. Besides hardware, you also need an application to help you achieve photo printing task. In this post, we will introduce the best ways to print photos from iPhone in different conditions and 10 best iPhone photo printers you can take into consideration. If you have a home printer, you can use it to print photos from iPhone at home easily. The built-in Photos app on your iPhone is able to help you print the photos. Before printing, you need to enable Bluetooth on both printer and iPhone. 1. Go to the Photos app on home screen of your iPhone and select the photo you want to print. 2. Tap on the Share icon that is an arrow overlapping a box. 3. In the menu popped up, swipe left on the bottom and find out the Print option. Tap on the Print option and then Select Printer. 4. Then your home printer will appear on the screen. 5. In print options screen, use the plus and minus buttons to adjust the amount of copies you’d like to print. 6. Finally, tap on Print button on the top of the screen, your home printer will start receiving the signal and printing the photo. If you have multiple photos to print from iPhone, you could repeat the steps above simply. Although home printers are convenient, they usually have limits on print size and photo quality. Photo print store is another choice to print photos from iPhone. And you can use some dedicated apps to order the photo print from iPhone. Moreover, these professional print services provide more services, like make photo books, create cards with your photos, and so on. Walgreens is such a photo print service and you can print photos from iPhone via Walgreens app directly. 1. Download Walgreens app from App Store and install it on your iPhone. 2. Open Walgreens app and log in your Walgreens account. If it is the first time to use this online printer, you need to register an account. 3. Tap on Order Prints option in Walgreens app and press Device icon to go to photo gallery. Select the pictures you’d like to print and tap on Next button at the bottom of the screen. A few seconds later, the pictures will upload to Walgreens. 4. Walgreens allows you to adjust each picture’s size by touching Add Size button. And if you want to add a coupon, tap on the Apply Coupon button in the bottom left corner. 5. When settings are done, tap on Apply and then Next to continue. 6. Then Walgreens app will display the closest photo print stores. Select a store and enter your first name, last name, phone number and email address. Finally, tap on Submit Order to send your order to the store. When you got the notification through phone call, you can go to the store and take your printed photos. If you have an old fashion printer that not supports Bluetooth, you can download the photos from iPhone and print photos from iPhone through your computer. 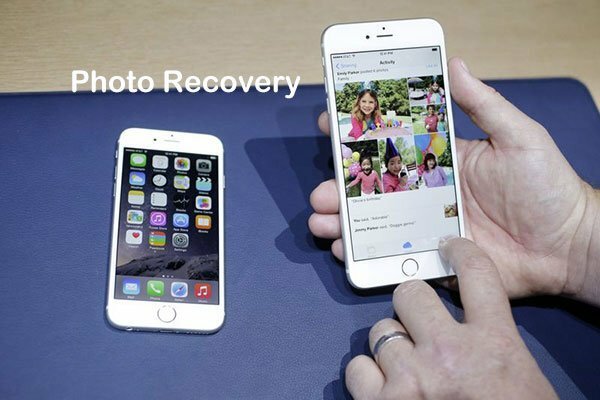 There are multiple ways to transfer photos from iPhone to a computer, like iCloud, iTunes, Google Drive and USB cable. Moreover, you can preview and polish photos on your computer before printing. WidsMob Viewer is a professional photo browser that supports to print photos directly. 1. Launch Photo Viewer and drag and drop the photos to print from iPhone or import a whole folder by clicking on Add button. Photo Viewer supports almost all image formats, including RAW files. 2. Once the pictures imported, you can preview the pictures in different modes, like Viewing Mode, Thumbnail Mode, Slideshow Mode, EXIF Mode and more. 3. Photo Viewer allows you to resize, rotate and convert the pictures or apply effects on the pictures in batch before printing. 4. When you are ready, go to File and select Print to print the pictures with your printer. Photo Viewer gives you a chance to browse and edit the photos before print. And it supports to print your favorite photos with hot keys. This part has introduced various methods to print photos from iPhone in different conditions. If you have to modern printer that embedded Bluetooth technology, you can print the photos from iPhone with Photos app directly. This is the simplest way to print photos; but the portable printers only support standard photos size. If you want to print photos from iPhone in a larger size or make a photo book, you have to send an order to professional photo print stores. Fortunately, some apps, like Walgreens, could help you to locate the nearby stores and send orders and photos to print from iPhone through internet. Finally, you can also use your computer to print photos from iPhone. We recommended WidsMob Viewer as the dedicated application to print photos on computer. You can browse the pictures and print them within Photo Viewer in batch. If you always use iPhone as a digital camera and try to print out photos from iPhone from time to time, you can consider to buy an iPhone photo printer according to your need. Here are best 10 iPhone photo printers 2019, just choose your favorite printer. Canon Selphy CP1200 Color Photo Printer comes with a stylish compact design, optional battery and multiple ways to print wirelessly. This iPhone photo printer enables you to print on postcard size paper, label size, square, and even 8 small little stickers at a time. 1. Uses Apple AirPrint wirelessly and effortlessly print from your Compatible iPhone, iPad, or iPod touch. Or connect your computer with USB cable. 2. Each selphy ink and paper kit comes with exactly enough of each to Print 18, 36, or 54 photos. 4. Portrait Image Optimize, including Smooth Skin, Red-eye Correction, and Automatic Refinishing and other features. Epson Expression Premium X-830 Small-In-One Printer is a wireless iPhone photo printer with superior photo quality and versatility. You can easily print photos from your iPhone, Apple iPad and other devices. Furthermore your can download funny Facebook photos through photo downloader, and then print them out. 2. Capable of wireless printing including Epson Connect, Apple AirPrint, Google Cloud Print, and scan to cloud. 3. Prints high quality photos and high volume documents. 4. Intuitive 4.3” touch-screen makes tasks simple. Instax Share SP-1 Printer lets you print photos instantly from your iPhone or tablet in anywhere and at anytime. Moreover, when you send images directly from your iPhone wirelessly to this iPhone photo printer, you can also develop them in a flash. It can be fun to edit your iPhone photos through Instax Share SP-1. 1. Instax Share App works both for iOS and Android. 2. Along with 50 sheets of instant color film. 3. Various templates and filters for more printing fun. 4. Uses two CR2 batteries that give 100 prints per set. As a powerful iPhone photo printer, Envy 4520 lets you print photos from your iPhone or tablet in the easiest way. Furthermore, it can be set up to automatically order new ink cartridges when you are running low, ensuring you will always have a fresh cartridge ready to go. 1. Easily print from your iPhone or iPad with AirPrint. 2. Flexible functions for printing, copying and scanning. 3. Save ups to 50% on ink with HP Instant Ink Program. The Instant Lab is a cool iPhone photo printer for transforming images on your iPhone or tablet screen into real instant photos. And it brings distinctive analog depth and texture to any digital image, from quick iPhone snapshots to carefully captured SLR compositions. 1. Compatible with iPhone, iPad, iPod Touch, and Samsung Galaxy, HTC, and other Android devices. 2. Print high-resolution screens measuring 4” in size. 3. Uses Impossible Instant Color and Black and White Film. 4. Enables you to download free Impossible App to your device to use the Instant Lab. Kodak Photo Printer Mini is a wonderful iPhone photo printer, which is design to reproduce delicate textures of human face. Its cartridges have Overcoating layer within printing process. This laminating process prevents any damages to the image quality. Hence, you are able to keep your memories forever. After you printed those interesting pictures, you can also make unique birthday photo collage. 1. Print your photos in a minute via fast and easy WI-FI connection to the printer. 2. Lets you print 2.1 x 3.4” photos direct from iOS device and Android. 4. Offers various photo filters and templates. LG Pocket Photo Printer is a great tool to turn your photos into a keepsake. You can enjoy editing and sharing photos whenever and wherever with this lightweight and compact iPhone photo printer. Besides you can use this little target to print heart photo collage to decorate your room. 1. Compatible with both Android and iOS devices. 3. Edits your photos with an assortment of its offered options. 4. Easily adds QR codes by pressing the QR button. Polaroid ZIP Mobile Printer is a nice little battery powered iPhone photo printer. It comes with a very brief instruction manual that doesn’t contain any detailed technical information. What’s more, it produces photo-quality, full-color output without using ink cartridges, ribbons, or toner. 1. Prints directly from your iOS or Android via Bluetooth or NFC technology. 4. Twelve color filters and various frames, stickers, stamps, and emoticons to make your picture more stunning. Prynt Case is designed to allow people to instantly capture and print not photos directly from your iPhone, but also prints video. With this easy-use iPhone photo printer, all you need is just plugging in your phone, taking an image, and then you can get a print in seconds. 1. Simply attach your iPhone to the Prynt Case, and quickly bring your photos to life. 2. It saves a video insider each photo. Prints instant photos form your iPhone with magical hidden videos inside. 3. No ink cartridges required, the Prynt ZINK Paper contains everything you need. 4. Enables you to preview and edit your photos with free, custom filters, stickers, frames and more. The VuPoint Smartphone Photo Cube makes vivid color 4 x 6” prints-directly from your iPhone, iPad and Android devices. You can simply download this free iPhone photo printer app for iOS or Android to print high-resolution photos in less than 60 seconds. 2. Prints photos from Mac or PC using the USB cable. 3. Uses the collage feature to make wallet size photos, ID photos, and panoramas. 4. Rapid Printing feature bypasses editing options and starts printing immediately.